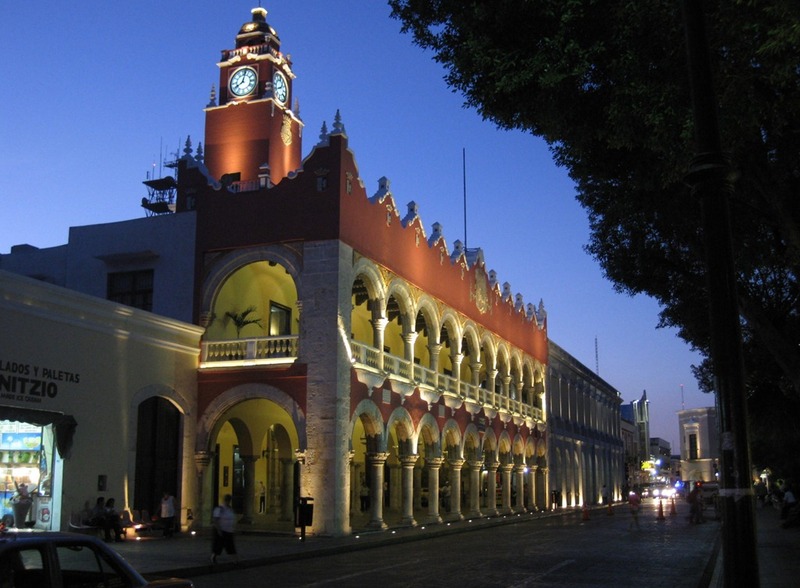 Merida (photos) is the capital of the Yucatan state of Mexico and is the center of the Mayan culture for the Yucatan peninsula. The Mayan settlement that once stood where Merida now stands came under Spanish rule in 1542. The Spanish conquistadors proceeded to build Merida into the regional capital, dismantling the Maya pyramids using the material to build the cathedral and other important structures, a familiar theme. The cathedral, Catedral de San Ildefonso is said to be the oldest church in Mexico and North America. 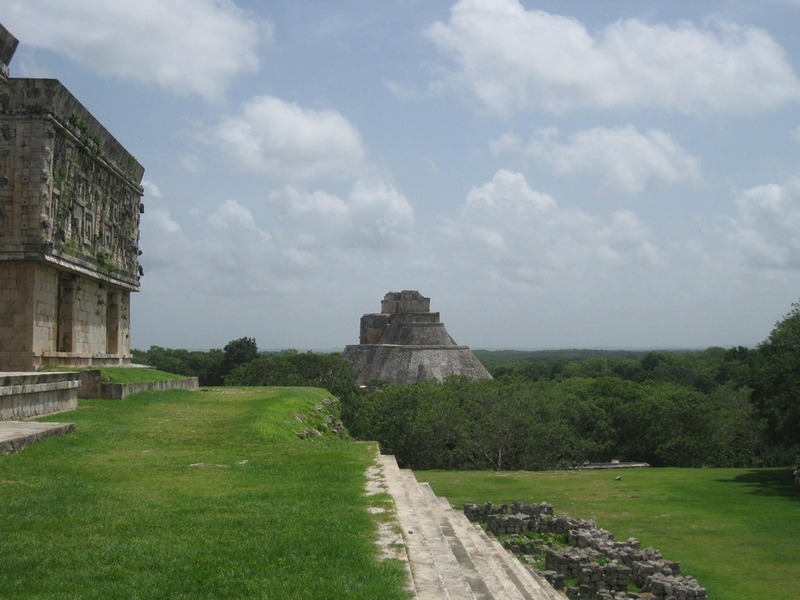 While in Merida we took the opportunity to visit two nearby unique sights: Uxmal and Cenotes de Cuzama. Casa del Adivino, a 39 meter high temple set on an oval base with sloping sides. Cuadrangulo de las Monjas is a set of 4 temples each built with a different style and at different heights. Archaeologists speculate that they could have been used as a military academy, royal school or palace complex. Palacio del Gobernado has a magnificent façade nearly 100 meters long with the upper part decorated with Chac faces and lattice work. On another day we took a tour to the cenotes at Cuzama, a very impressive set of 3 limestone sinkholes located on a former hacienda. In the Yucatan, there are very few rivers or lakes. The water is in subterranean bodies of water among the limestone rock formations. Some of the caverns are near the surface and have holes through the ground above. 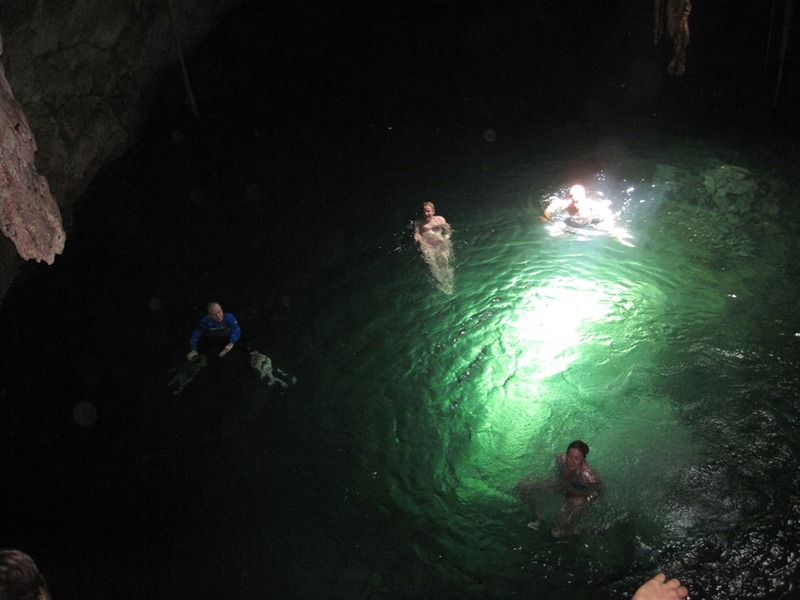 These sinkholes are referred to as cenotes. They can be found throughout the Yucatan peninsula. On this hacienda, they have little wagons pulled by horses that run on metal tracks to take visitors to the set of 3 cenotes. At each you climb down the steps to a platform below from which you can jump into the cool, clear water. It’s very refreshing and a very neat experience.